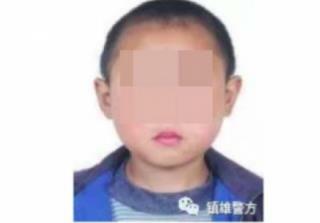 In China, Wanted Posters Have Child Photos—But Why? (Newser) – Ji Qinghai was wanted for public nuisance. Xu Shilin, false imprisonment. Yang Jianzue, bodily harm. Not unusual, except their wanted posters each used a primary-school age photo of the suspect, the South China Morning Post reports. Police in Zhenxiong, a province in southwestern China, stood their ground when first shown the irregular online postings. "His features won't have changed," says an officer of Ji, the first of four such suspects uncovered by social-media sleuths. "Look at his features clearly, his nose, eyes, ears, mouth and eyebrows. These won't have changed. We welcome any tips." Indeed, tips could apparently earn people between $150 and $3,000. I was in China for about a month and early on, my hosts pensively asked me if it was true they all looked alike to me. A heavy, pregnant pause ensued. "Sure, one eye on each side of your nose, lips underneath!" That was received with great laughter and for the rest of the trip, I'd occasionally hear, "one eye on each side of the nose..."